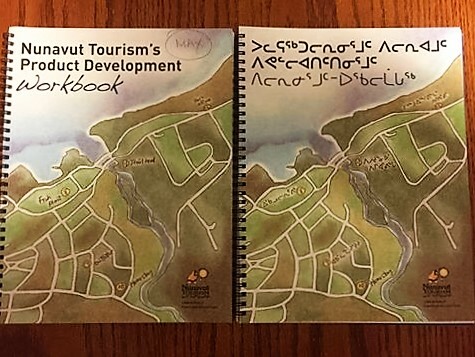 TTJ Tourism was engaged in September 2015 to create a Product Development Manual for Nunavut Tourism, and to deliver four workshops in early 2016 to introduce this initiative to communities across the Canadian Arctic. The objective was to integrate community resources and capabilities into the development of local tourism products. It was recognised that "tourism" was a difficult concept to grasp, and that for a successful industry to evolve, a meaningful foundation needed to be built. The workshop concentrated on designing a twelve-step road-map to create individual and simple tourism products; this evolved from "I have and idea" to pricing, marketing, testing and the elements of product delivery. We concentrated on setting the mark at developing two and three-hour products that could then be combined to create ever larger packages. The workshops, held in Cambridge Bay, Rankin Inlet, Iqaluit and Qikiqtarjuaq were both successful and interesting; these communities, and many more besides, are ready to build their visitor activity capacity, and we were pleased at the reception that the workshop received. We are looking forward to moving this project forward to an implementation phase, and are sure that this approach to building community-based programming in remote, indigenous societies will work. Rankin Inlet in January. Wow! Oddly, in Rankin Inlet we were asked to take some Arctic Char to Yellowknife. Happy to oblige.